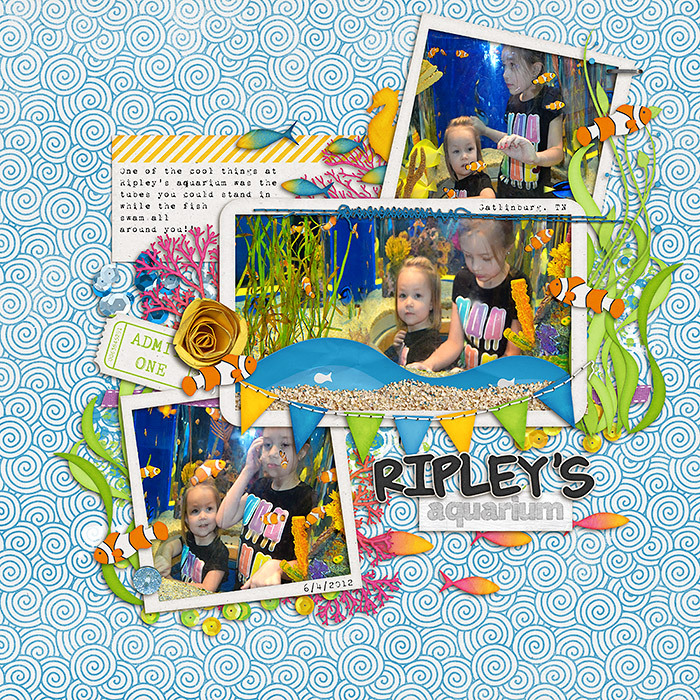 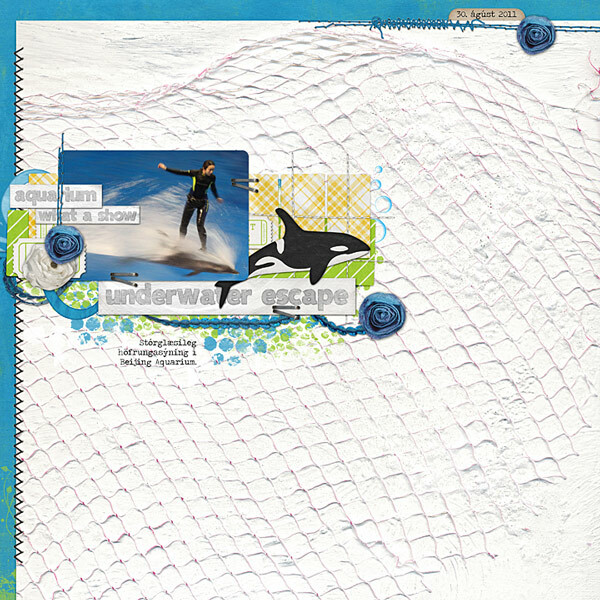 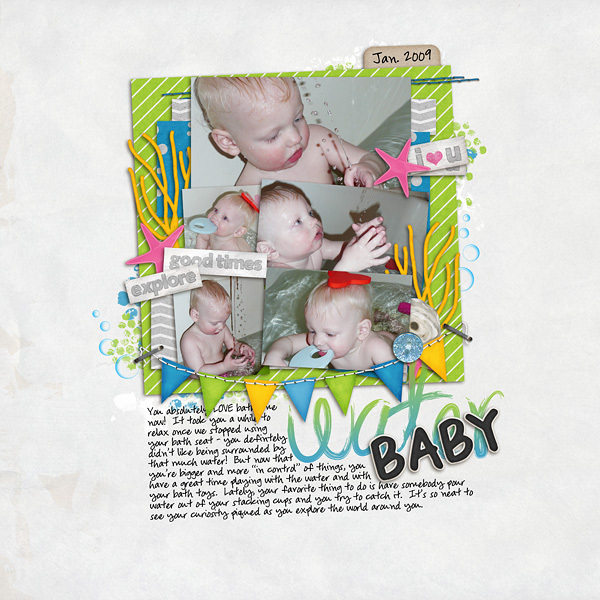 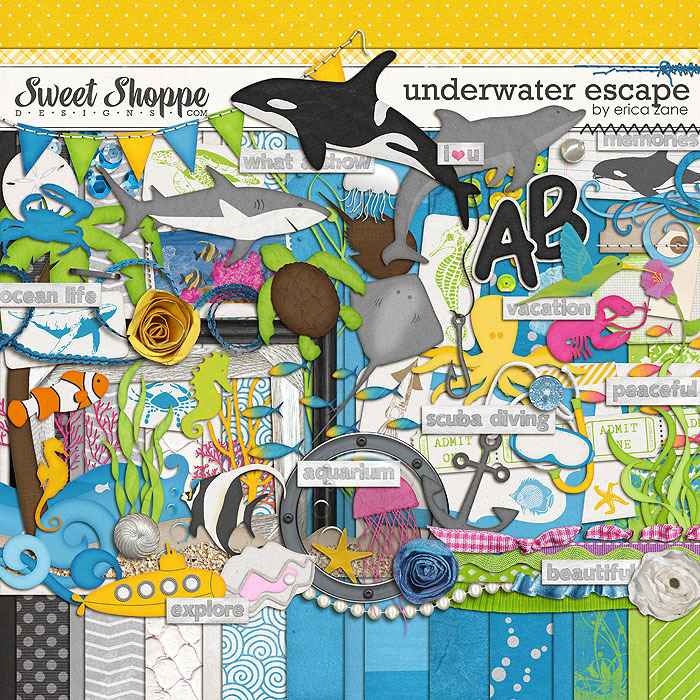 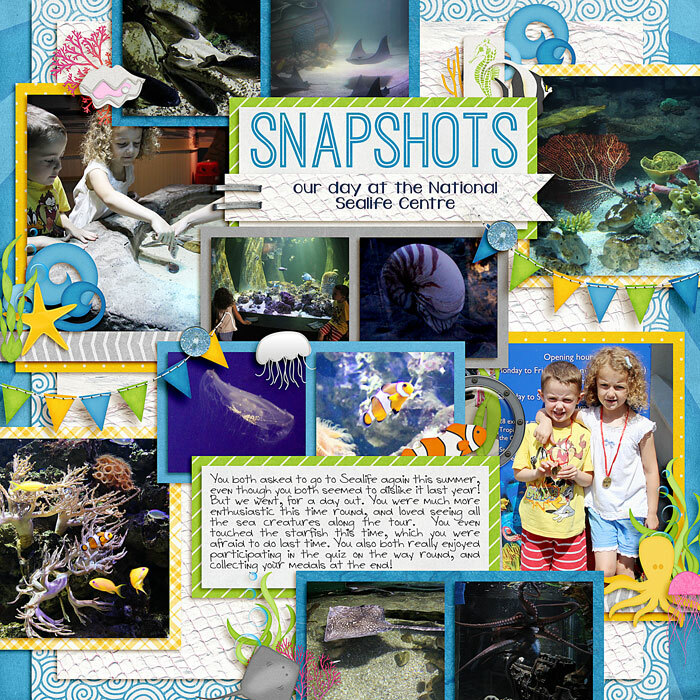 Dive into an underwater adventure full of sea critters and ocean goodies with this digital scrapbooking kit by Erica Zane, Underwater Escape is one huge kit with tons of options! 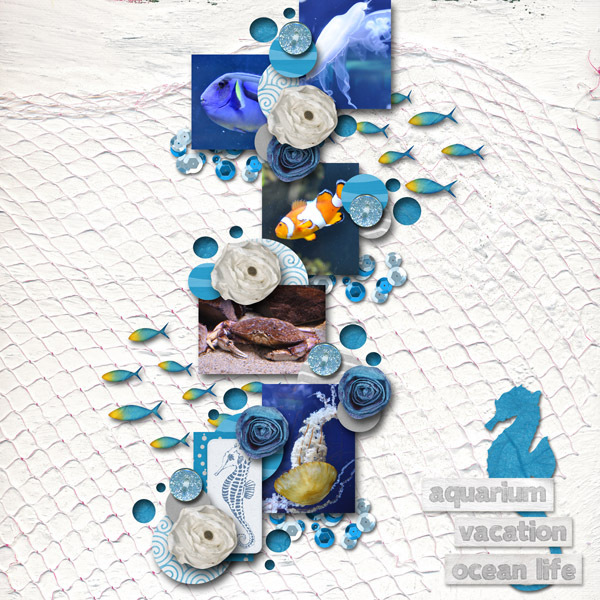 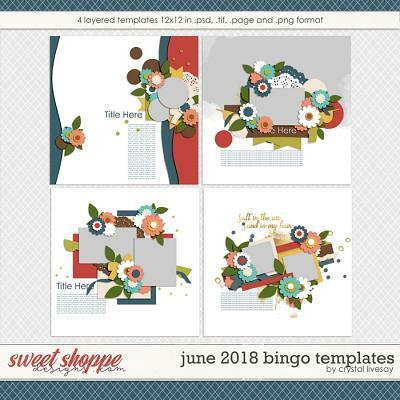 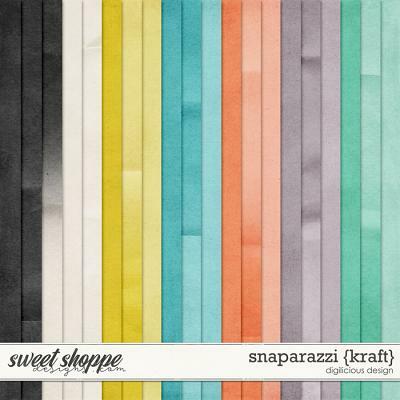 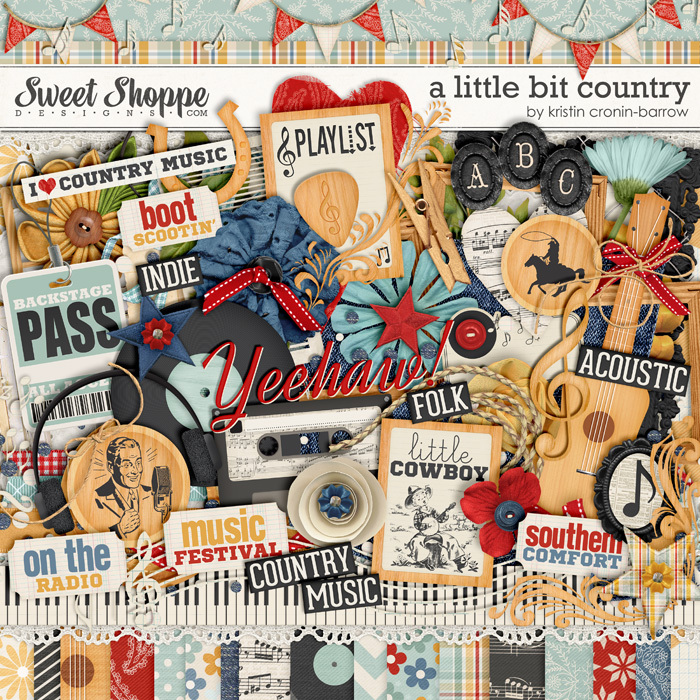 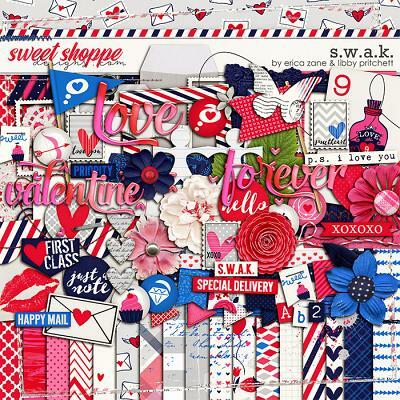 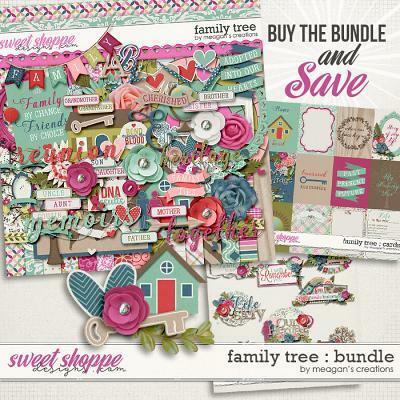 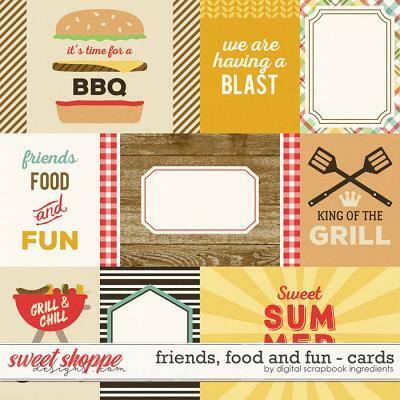 Packed with 18 digital scrapbook papers, more than 90 digital scrapbook elements and a digital scrapbook alphabet (saved as individual .png files), this kit would be perfect for your Seaworld photos, aquarium trips, scuba diving adventures, beach vacations, bathtub snapshots and more! 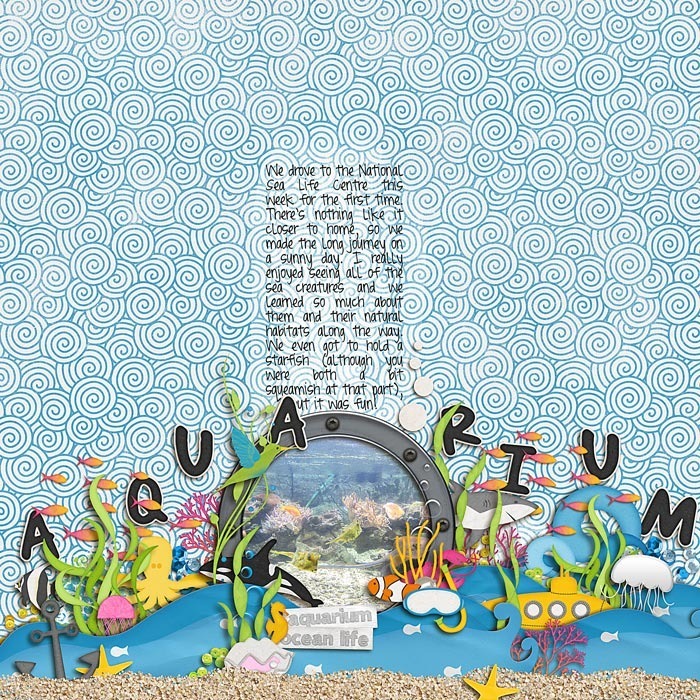 The elements include: 12 word art bits, 6 frames, 6 ribbons, 4 flowers, 4 sequin scatters, 4 seaweed clusters, 3 shells, 3 coral pieces, 3 journal papers, 3 sets of stitches, 3 sets of waves, 3 crabs, 3 seahorses, 2 jellyfish, 2 sand elements, 2 sea turtles, 2 orcas (killer whales), 2 pearl elements, 2 school of fish, 2 starfish, 2 buttons, 2 strings, 2 tags, 2 fish, shark, dolphin, stingray, octopus, squid, lobster, whale, submarine, banner, paint smear, scuba mask with snorkel, fish hook with line, hummingbird, anchor, set of bubbles, painted stamp, palm tree, tickets, tab and a staple.